‘Change By Therapy’ can come to your private, housing and social services organisations to train you staff on aspects of mental health and personality disorder. We can also provide supervision in some instances. Training is always in line with governmental policy and current service user directions. For instance, at the moment the most common package of training has blocks which focus on the actual recommendations of the governmental paper "Personality Disorder: No Longer a Diagnosis of Exclusion. This report proposed the need for organisations working with people with personality disorders to increase their awareness of the issues faced by people with personality disorder through training which increases the knowledge, understanding and skills set of workforces. The most popular package of personality disorder training takes place over four, three hour sessions. It moves from generally introduces the concept of personality disorders to focusing on borderline personality disorder, emphasising common risk factors associated with behavioural and emotional patterns. It will present specific techniques from dialectical behaviour therapy (DBT) which can be used to work effectively with people with BPD. The first session introduces the concept of personality disorder including the DSM-IV classifications to enable staff to recognise each type. It presents the 'cycle of exclusion' a phenomenon which is common in the treatment of BPD. Understandings of why people develop a borderline personality disorder are outlined followed by an explanation of common treatment modalities including dialectical behaviour therapy. The main interpersonal sensitivities encountered in relationships with people with BPD are introduced. Much of the session focuses of practising some of the ways that staff can use skills taught in DBT to deal with the intense emotions that they inevitably experience when working with people with BPD. The session discusses one of the main 'acceptance' strategies that can be used strategically with clients to increase staff understanding, improve therapeutic relationships and change dysfunctional client behaviour. Contingency management, one of the powerful 'change' strategies used in DBT will be presented to show students how they can increase and decrease the likelihood of clients behaving in dysfunctional ways and generate more adaptive behaviour. Discussion will help staff understand the environmental forces which can create or impede the crisis, suicidal and risky behaviour displayed be people with BPD. At the end of the third session, special DBT motivation enhancing techniques will be discussed which can help clients to develop goals and enhance commitment to reaching their aims. - a technique used to help clients to solve their own problems. It will be demonstrated that the same problem solving strategy can be used to help conceptualise and tackle the problems that client's bring to key workers/support staff. At the end of the last session staff bring particular clients for consultation and are helped to bring the ideas learnt throughout the treatment to life. 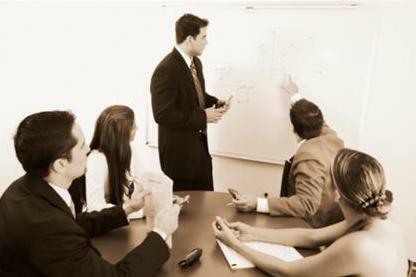 N.B It is important to note that the actual package of training can be tailored to the needs of your organisation. Other aspects of DBT and mental health can be included in the event and shorter courses can be arranged. Other subjects include ‘Running Groups’, ‘Dealing with Self-harm’ and ‘Risk Assessment’). If you like, a needs assessment can be conducted to ascertain your exact training requirements and a bespoke package developed. The cost of the training is competitive and depends on whether your organisation is voluntary sector or privately owned. Please contact us for a quote. The basic price does not include photocopying of the PowerPoint Presentations. If prices are competitive why should we choose 'Change By Therapy'? The personality disorder training is informed by dialectical behaviour therapy, a particular therapeutic approach which has been found to be one of the most effective with the client group. The trainer has expertise in this model and can competently provide one off or ongoing consultation to groups. The clinical psychologist and therapists involved in the training can also usefully give advice about how to work therapeutically with individuals. The core training of the clinical psychologists will enable them to help groups to think how BPD can be conceptualised in other therapeutic approaches. As all trainers have worked within the field and for statutory services you can guarantee that they not only have a wealth of dependable knowledge but they also are used to being subject to quality controls and Department of Health Guidelines.